Engeny undertook an options study and detailed design for the replacement of the 1S Dam at Peak Downs by utilising an existing dam via an open drain and automatic water harvesting system. 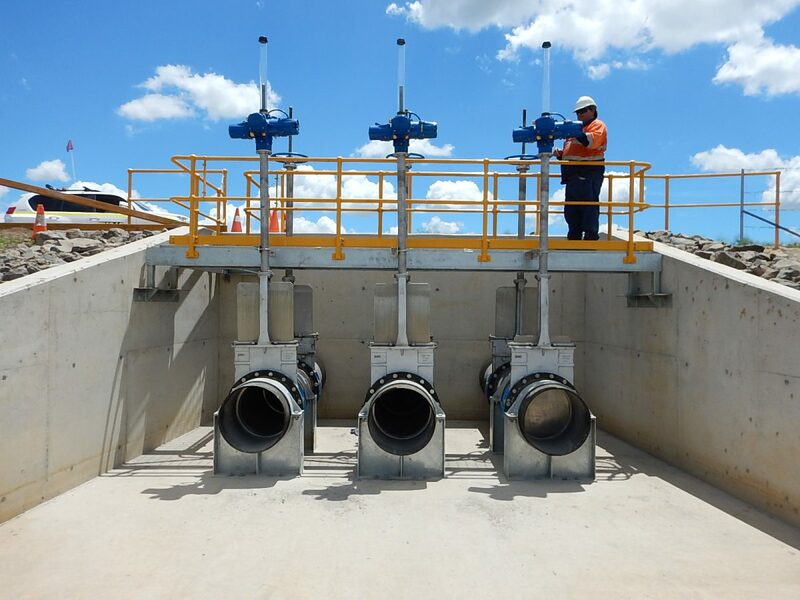 A rapid release outlet was also retrofitted to the existing dam with electric actuation and monitoring via the Telstra 3G network, which improves safety and response time for environmental releases. The cost savings through reuse of existing infrastructure were also used to expand 7N Dam by an extra 250 ML.